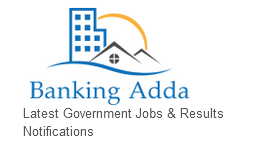 Indian Overseas Bank has released notification for the recruitment against 20 Vacancies for Specialist Officers for the Post of Information Secruity & Information System Audit in MMG Scale II & MMG Scale III . Candidate can apply online between 21-July-2018 to 04-August- 2018.The selection process is based on the online examination. After passing the Online Test candidates are called for the Documents Verification & Interview. Applicant should read all the instructions carefully before submitting the online application. Managers :Mimimum age to apply for Manager Post is 25 Years & Maximum age to apply is 35 Years .Agre Relaxation is 05 years for SC/ST & 03 Years for OBC Candidates. Senior Managers :Mimimum age to apply for Manager Post is 25 Years & Maximum age to apply is 40 Years .Agre Relaxation is 05 years for SC/ST & 03 Years for OBC Candidates. · Interested and eligible candidates may apply online through official website of Indian Overseas Bank (IOB) Official Website i.e https://www.iob.in/.